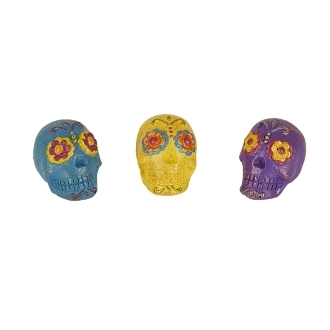 Full Description: These colorful sugarskulls could be added to any mini garden as trendy accent pieces, but are also great for a southwest, halloween or Day of the Dead garden. Designed by Genevieve Gail. Features all-weather paint and hand-painted details.